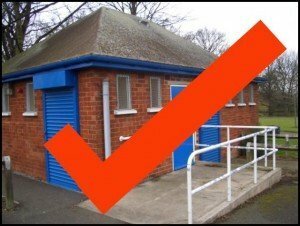 After the winter break the park toilets will be open from Saturday 19th March to coincide with the Easter School Holidays. They will then be open daily until next winter. As usual all the consumables are funded by the Friends of Sandall Park and they will be cleaned by volunteers. Approximate opening times will be 8am to 5pm (slightly earlier on a weekend). This a a big team effort to keep the toilets open with council staff opening them in a morning and cafe staff closing them at the end of play. We ask that the toilets be treated with respect – it is fine line between the toilets being open and closed for good and it is a campaign we have been fighting for more than eight years.